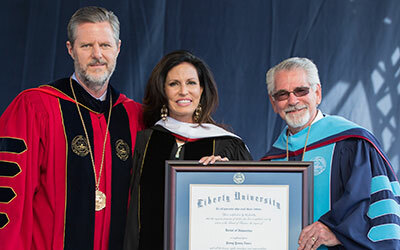 Lynchburg, Virginia – Concerned Women for America CEO and President Penny Young Nance was recently presented with an honorary doctorate degree at Liberty University’s 43rd Commencement. Nance is a graduate of Liberty University and is recognized as an authority on cultural, family, children, and conservative issues. She, together with Concerned Women for America, has been a valued partner of the University, providing opportunities for Liberty students to intern and work in the nation’s capital.